New York-born spin workout SoulCycle swept the local fitness crowd into a fast-pedalling, fist-pumping frenzy when it launched in 2006. Since then, it’s grown into something of a cult, with 90-odd studios across the US and Canada, and a keen following of regular spinners, some of whom attend classes daily. 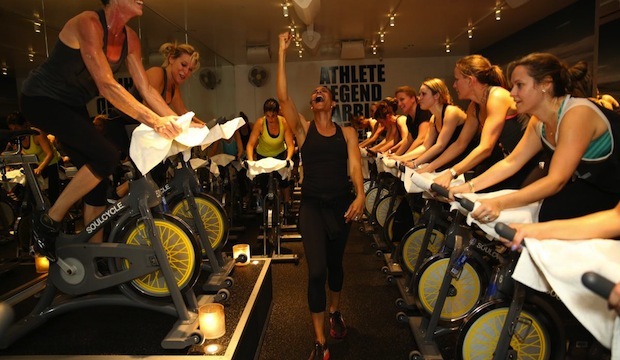 Pitched as a high-energy workout for mind, body and soul, SoulCycle attendees ride to the beat of a carefully curated playlist, while following an instructor in performing the class’s signature choreography. It’s a ‘cardio party’ and as much a dance class in a nightclub-like setting as it is a cycle session. SoulCycle is widely regarded as the best bike workout around, and is praised for its focus on mental as well as physical wellbeing. It has inspired various spin-off classes (excuse the pun) – Psycle and Boom Cycle are among those in the UK – but, this summer, for the first time, SoulCycle is coming to London in all its hyped-up glory. The workout is favoured among celebrities, too, with Beyoncé, the Beckhams and Michelle Obama among those who have attended classes in the past.